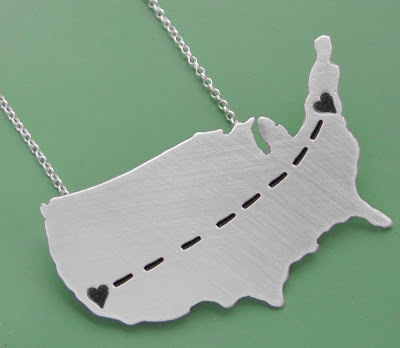 This necklace is just sweet. Perfect when you are forced to be apart from a loved one, or your hometown, or San Francisco (I hear people are always forgetting their hearts there). It's customizable, not super-expensive, and could be quite thoughtful.